Anniversary gifts can be challenging. Do you buy something practical, or make something thoughtful? Do you orchestrate a romantic dinner, or do you splurge on an extravagant get-away? Stumped, I went to google for inspiration and searched traditional anniversary gifts. The first year? Paper. My first thought was, “wow…” but the search also revealed gift ideas! To my surprise, there are many great paper presents: a message in a bottle, your “first song” lyrics printed on one of your wedding photos, romantic coupons, or you can order personalized novelty toilet paper! As our first anniversary approached, we kicked around many ideas to feel each other out, and somehow Canada became part of our discussions. What does paper and Canada have in common? Passports! 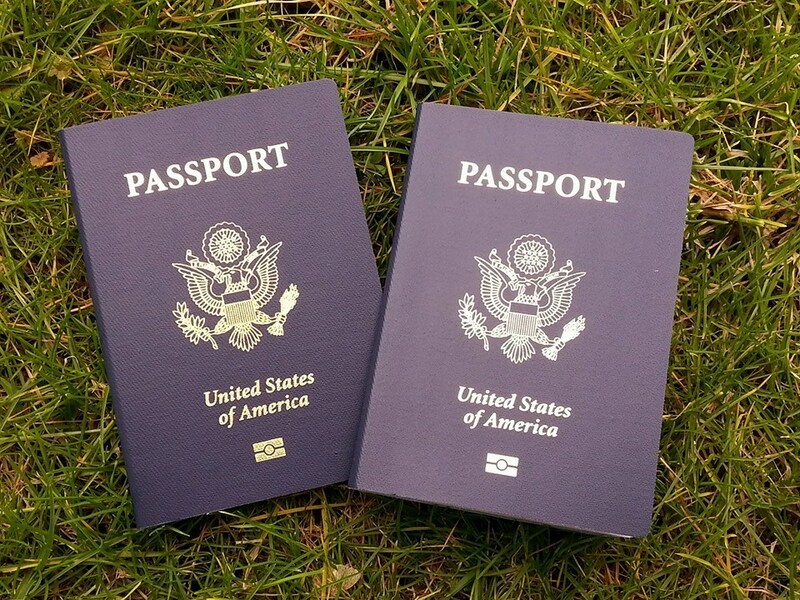 Trying to plan for lots of future trips, we got each other the 52-page passport over the 28-page version, after all, there’s no difference in cost! You’re probably thinking, “but gifts are supposed to be a surprise!! !” Our #everywhereman road trip will take us across international borders, so it’s only responsible to properly plan, right? Our friend Kevin said it best, “you guys live on the edge, and what’s more fascinating is that you choose to!” He’s right, when teamReames hits the road, anything can happen, and our first year anniversary trip was pretty exciting. Spoiler alert: Canada didn’t stamp our passports. By the time our second anniversary rolled around, we were living in a motorhome in the south, and considering buying high quality, eleventeen-hundred thread count, Egyptian Cotton sheets…but where’s the adventure in that? I mean a PG-rated adventure we can share with our children? So again we consulted Google. Having moved to the south and having had a great experience in Canada, we were eyeing Mexico, but nothing cotton related during the month of April was appearing on the radar. Desperate, I searched “cotton capital of the world,” and wouldn’t you know, Greenwood, MS appeared a lot and wasn’t too far from us?! It’s part of the Mississippi Delta! Most of our trips revolve around roadside oddities and offbeat attractions. An interesting place that caught my eye is a small cotton plantation on the north side of town, just past the grave of Blues legend Robert Johnson, called Tallahatchie Flats. At the Flats you’ll find a tasteful tribute to the rough era of sharecropping: preserved rural, shack-like homes that once dotted the Delta landscape. 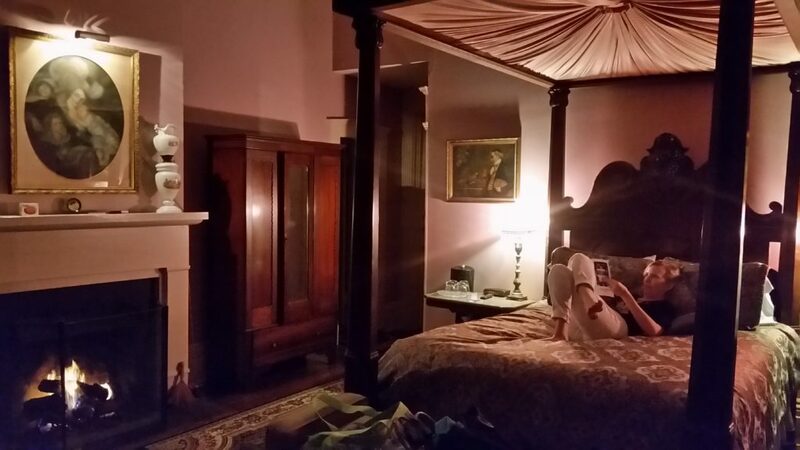 As mentioned earlier, splurging on an anniversary is also an option, so I booked our first night on the road at Corners Mansion Inn. 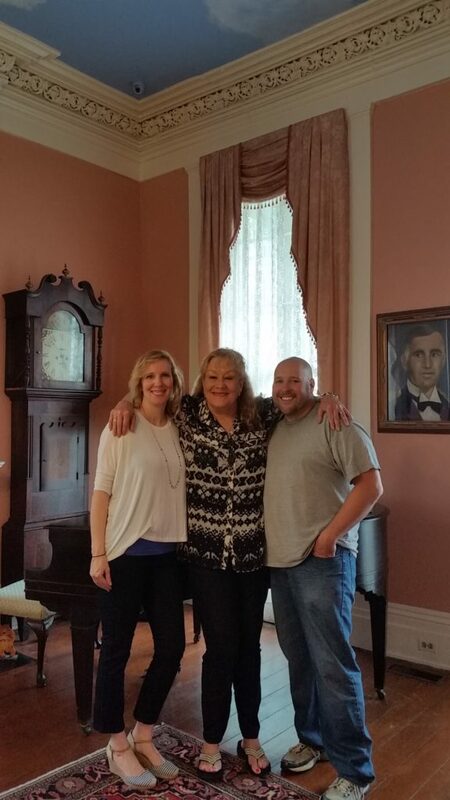 What separates this beautiful Bed & Breakfast, that overlooks the Mississippi and Yazoo Rivers, is the tour following the VERY delicious breakfast. Macy, originally a northern girl, shares about the history of the mansion and surrounding area through pictures, artifacts, and records, illustrating the area through the war to its current state. 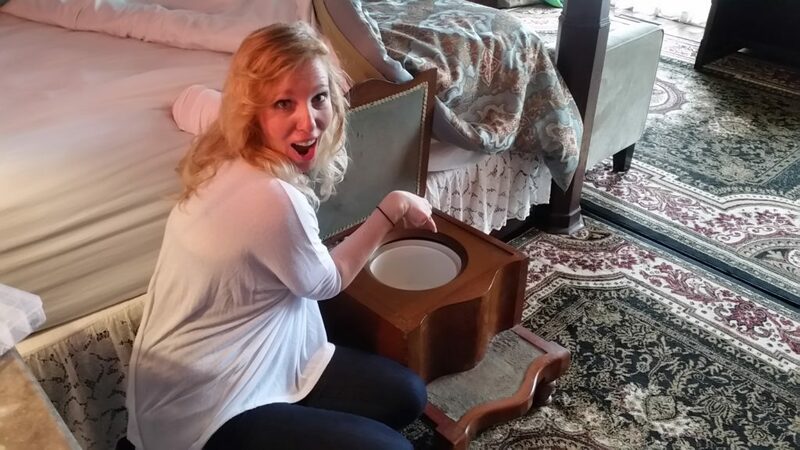 I’m not going to steal her thunder, but you’ll get to see a real chamber pot! Don’t worry, we didn’t use it. Before you leave, make sure you pin your home on the map by the check-in counter. 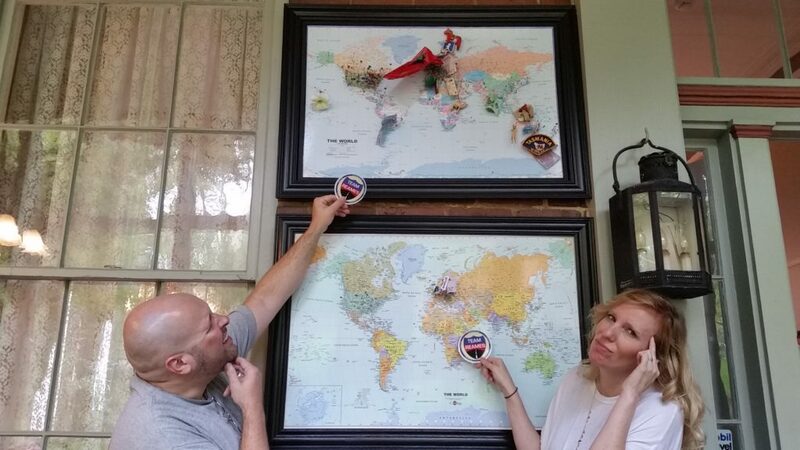 Being the nomads we are, we had a hard time trying to figure out where to pin ours. While you’re there, tell Macy “hi” for us, and that we’ll be back soon! Thinking ahead to the third year’s traditional anniversary gift, it looks like it’s leather. You’re probably thinking we’re planning a trip to a Midwestern slaughter house, but we’re actually thinking “Dude Ranch.” We’d love to hear about some of your anniversary gift ideas!